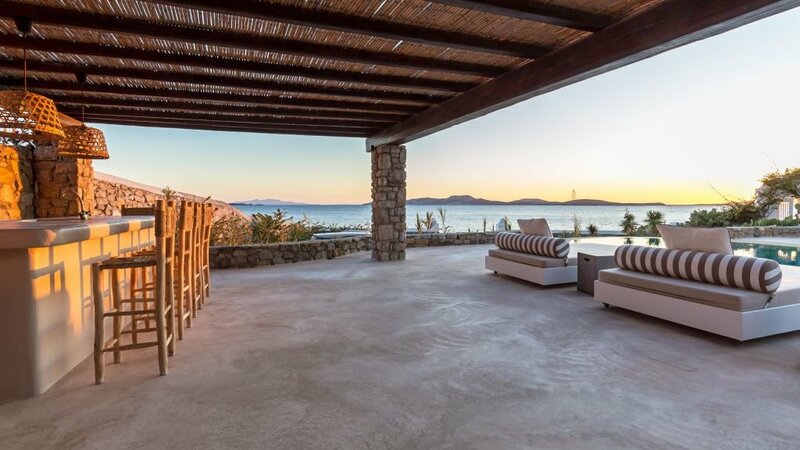 Vanessa is beautiful property with a waterfront position. 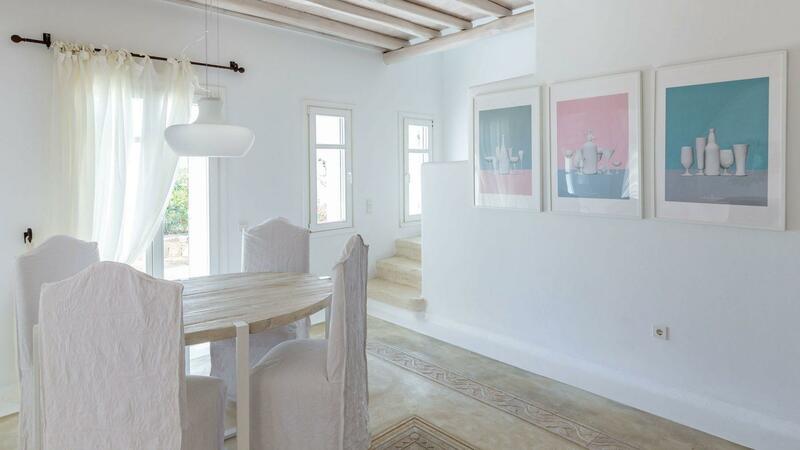 The property shares a common parking and entrance path, featuring several terraces on different levels. 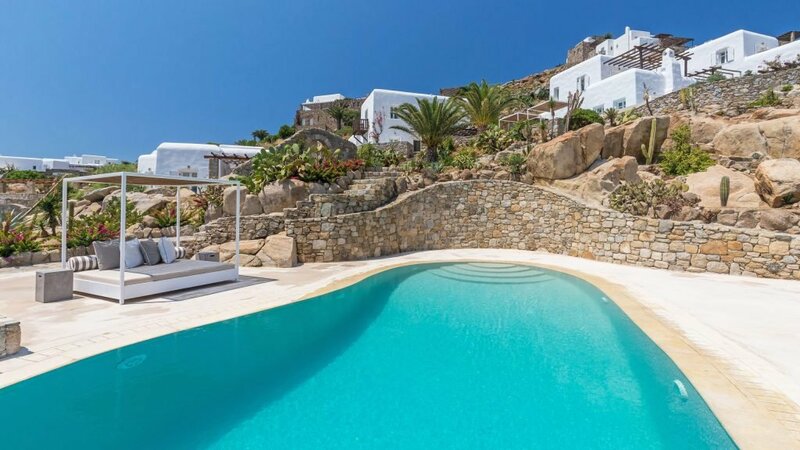 Close to the sea and the property’s entrance is located the beautiful bean-shaped pool, ideal for daytime entertainment with its large shaded pergola and bar. 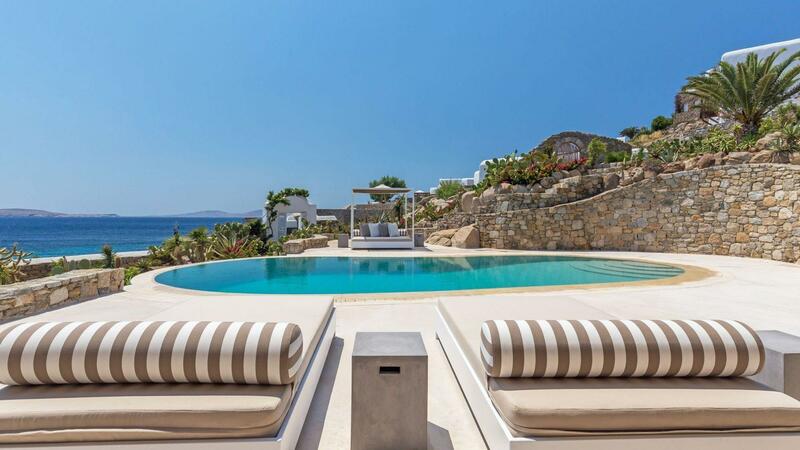 A steps path surrounded by giant rocks and cacti garden leads to the entrance, featuring another panoramic terrace with large, stylish day-beds for sunbathing and relaxation. 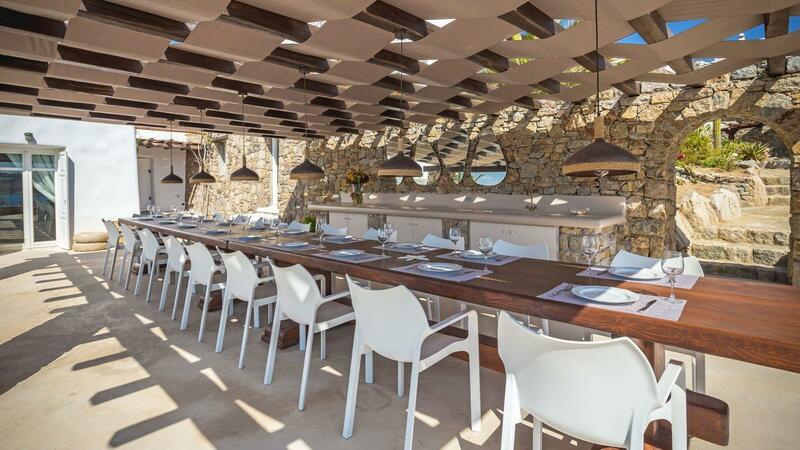 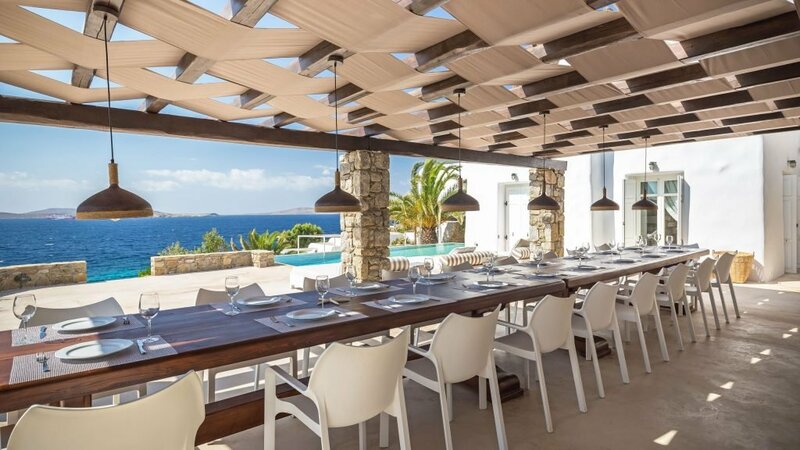 A second beautiful infinity pool is found just steps above this terrace, with majestic outdoors dining area bearing amazing views, perfect for entertaining day & night the guests of both properties. 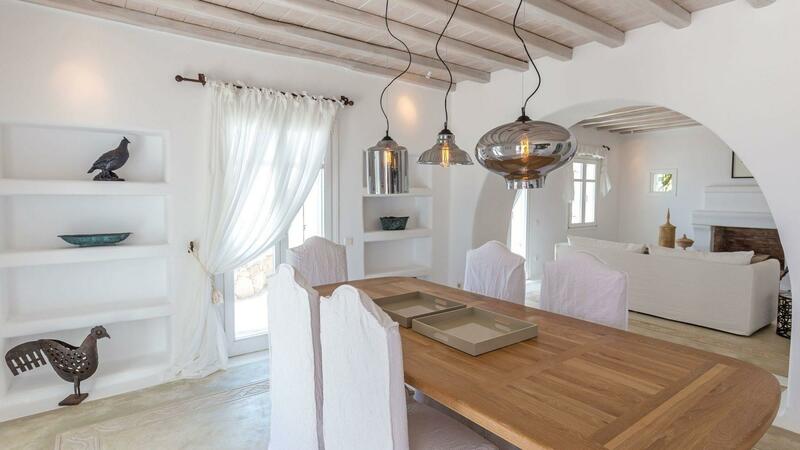 A large bar, wood fire BBQ and a detached semi-professional kitchen complete the picture. 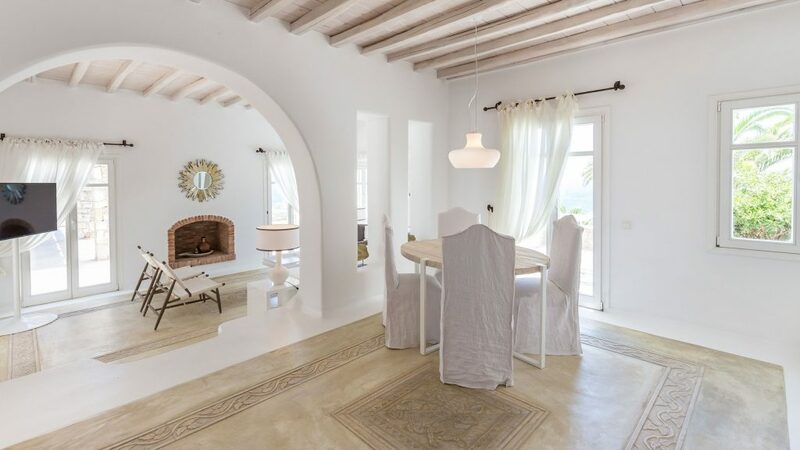 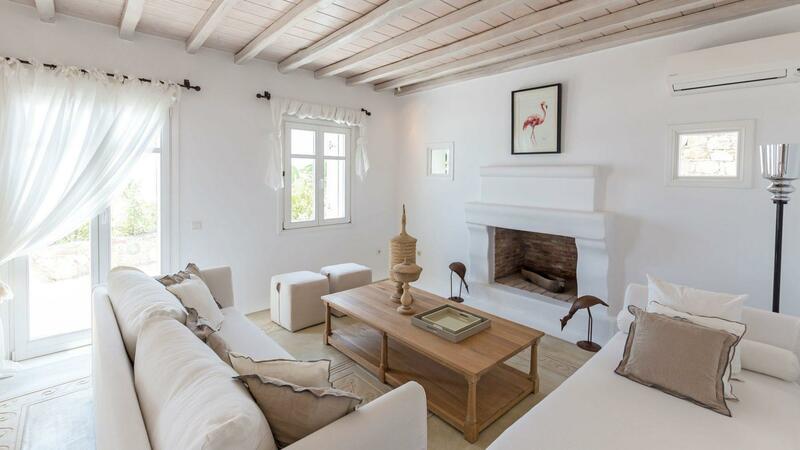 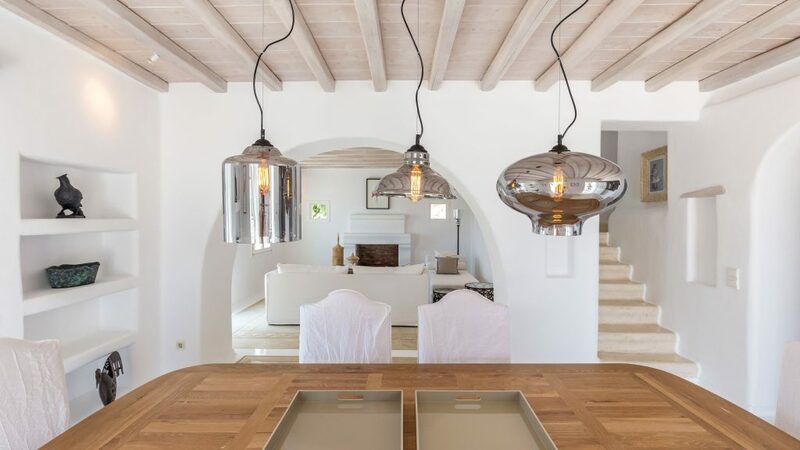 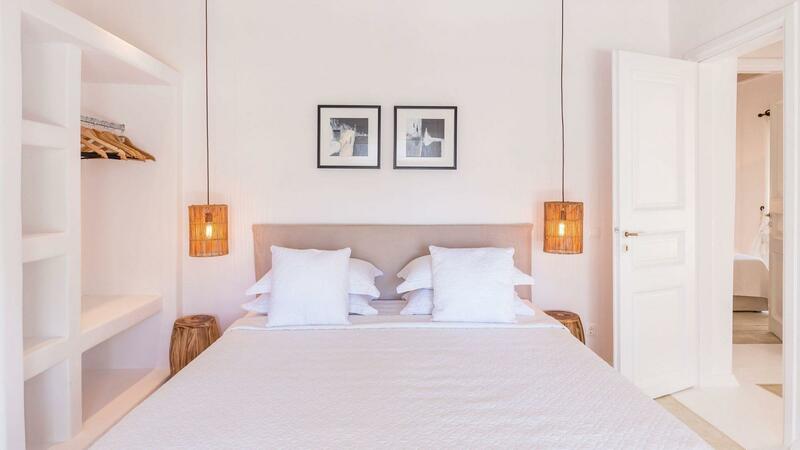 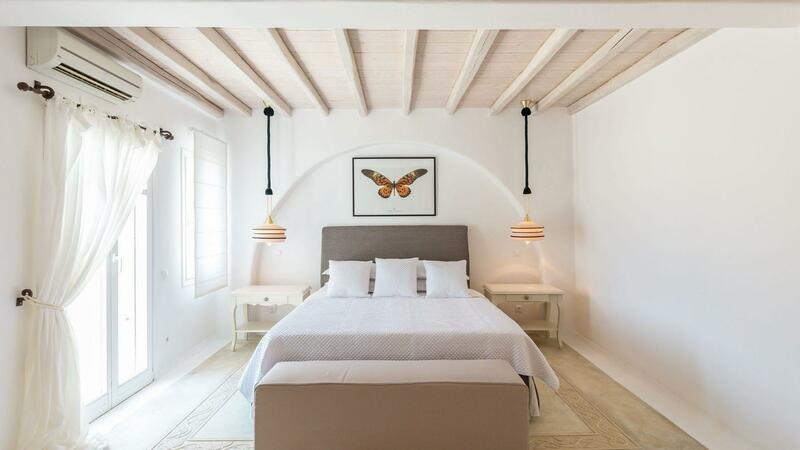 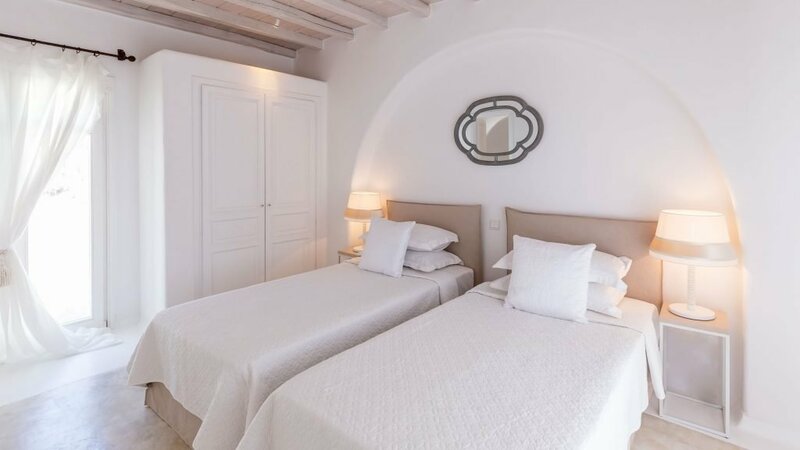 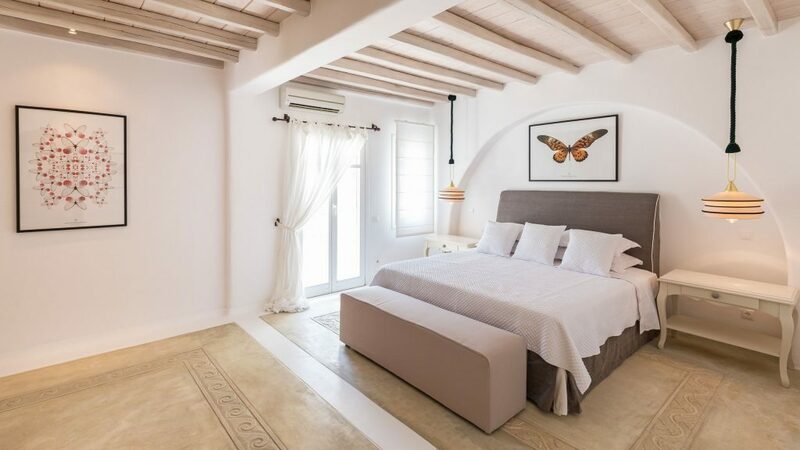 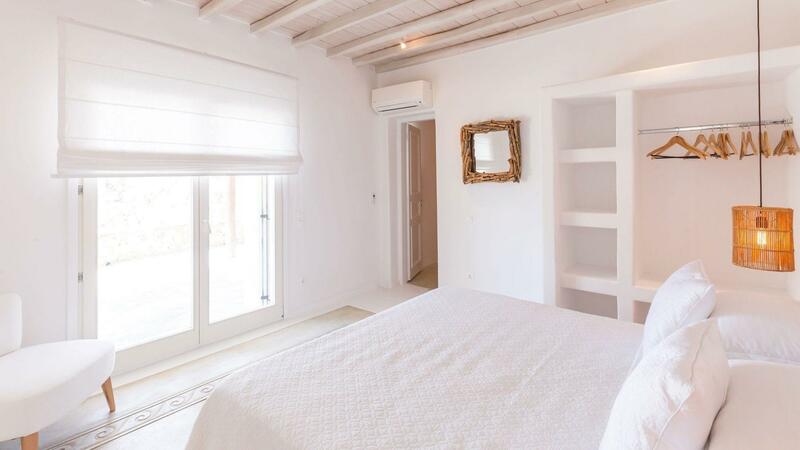 The villa is elegantly appointed with a mix of contemporary pieces, white and beige fabrics, design lighting, complemented by the interesting Cycladic architecture that characterizes the indisputably fascinating style of this private villa complex. 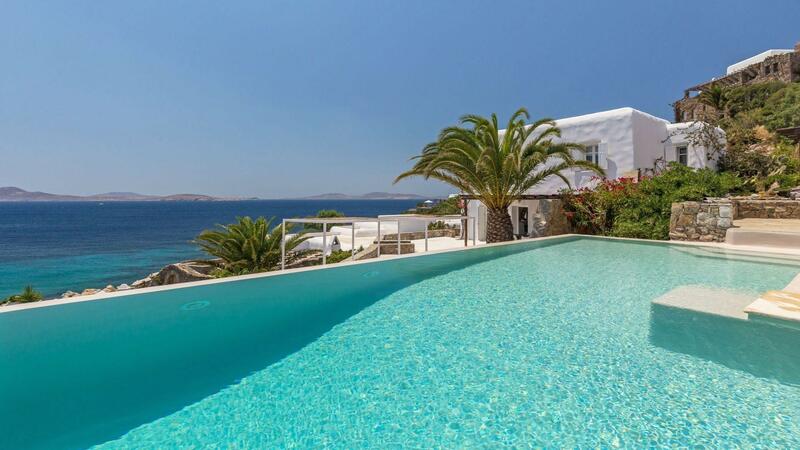 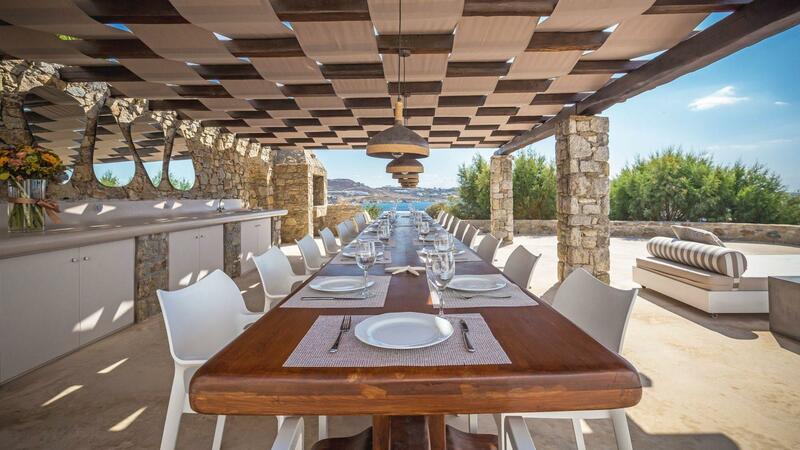 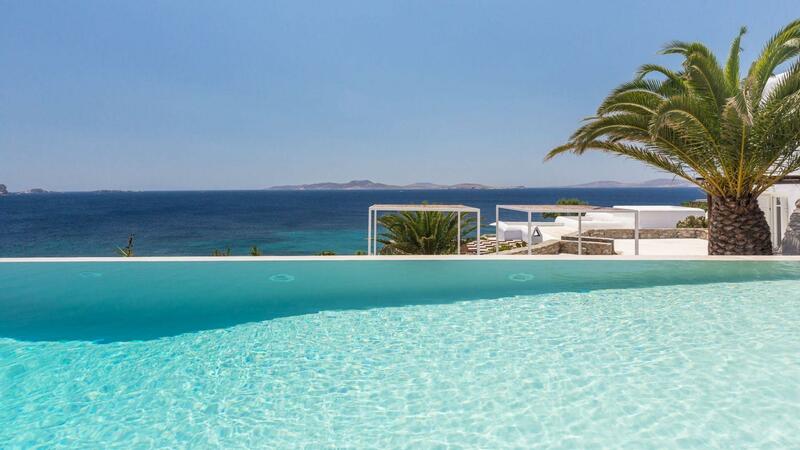 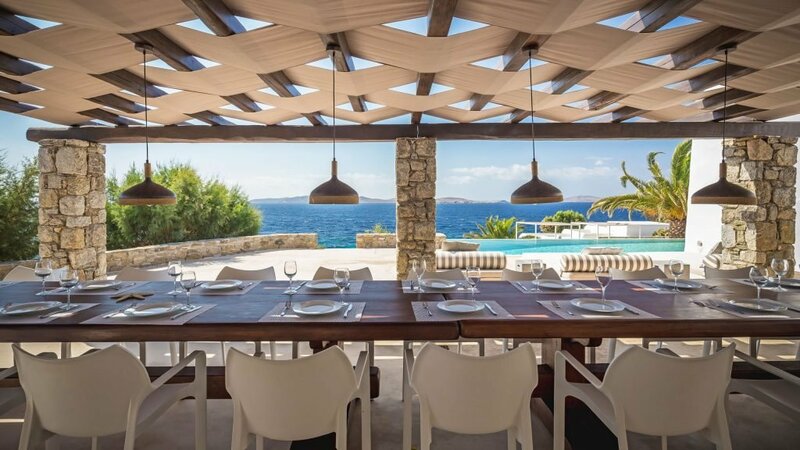 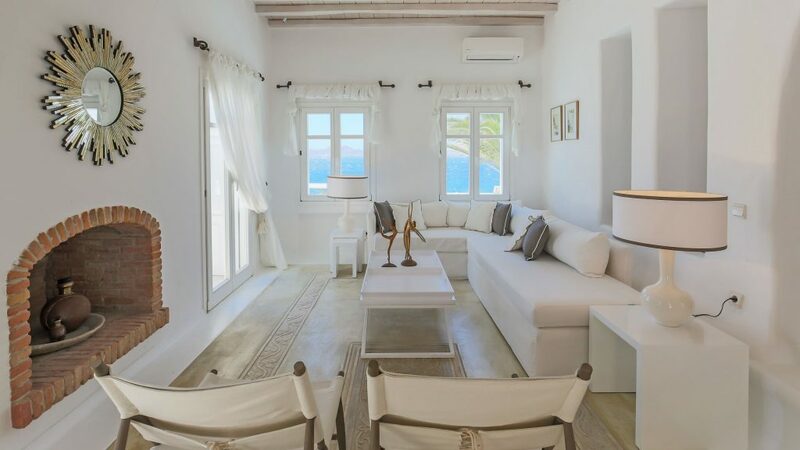 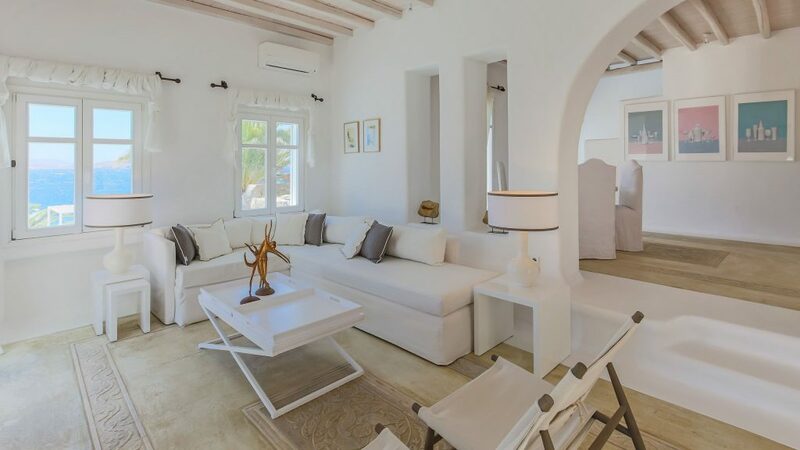 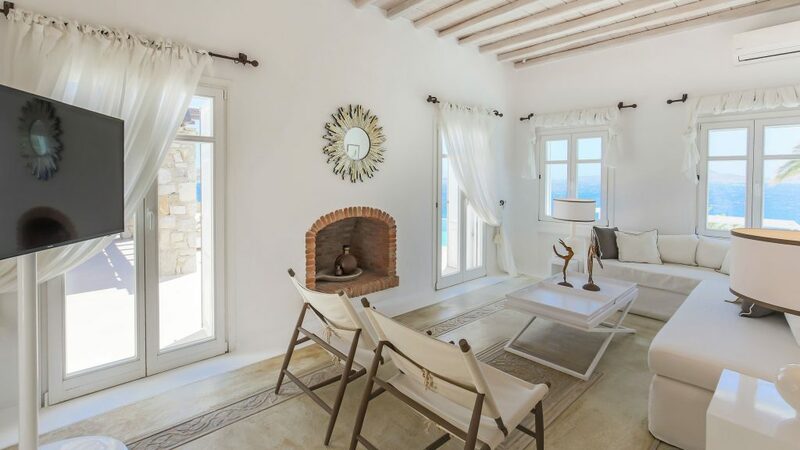 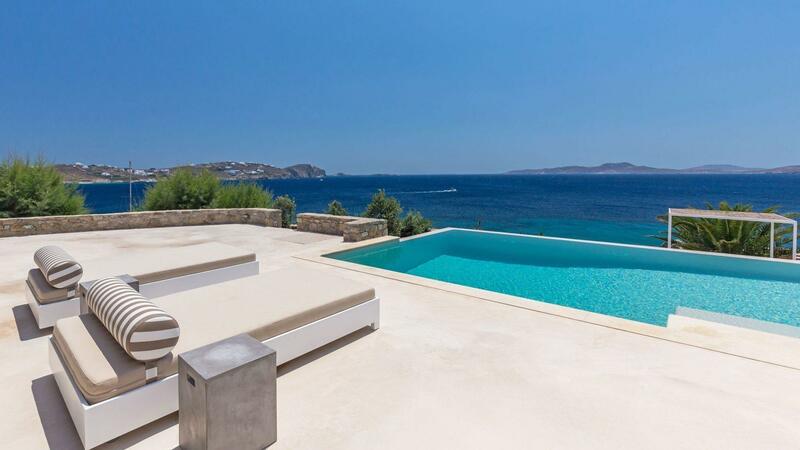 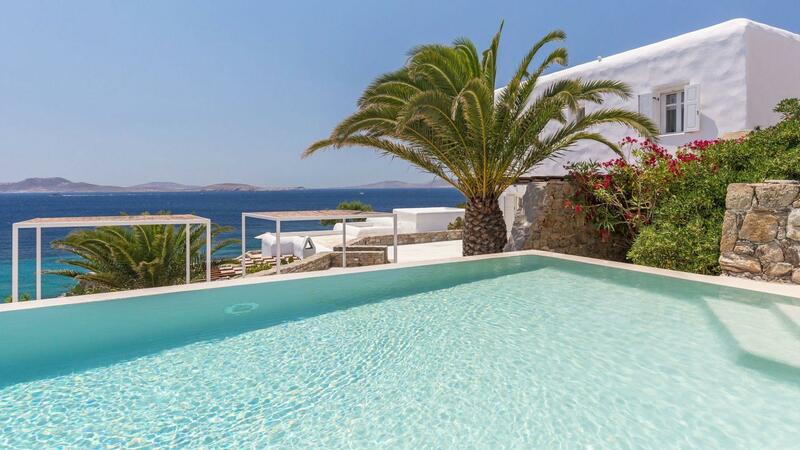 The property offer an amazingly large venue for family and friends gathering, with plenty of space to enjoy together or in privacy a memorable vacation, just steps away from the sea, the beach and the buzzing Mykonos town.